Are you planning a social media campaign? Do you wonder why some marketing campaigns are more successful than others? The recent ALS Ice Bucket Challenge went viral because they used powerful psychological concepts to influence participation. In this article I’ll share the concepts ALS used to achieve overwhelming success and how you can use them. 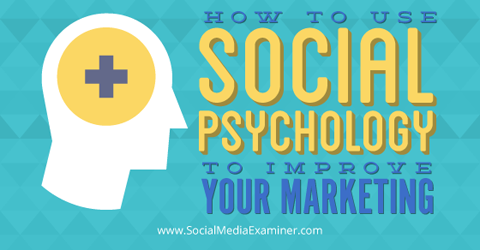 Find out how to use social psychology to improve your marketing. We are more likely to act on and complete a task when we promise ourselves we’ll do it. The obligation is amplified when we make a commitment publicly—we put even more pressure on ourselves to follow through so we don’t risk both personal and public letdown. Publicly passing a challenge to others compels them to take action. The ALS Association used this concept in a somewhat different (but equally effective) way: participants weren’t making the commitment themselves; the person nominating them was publicly making the commitment for them. This form of peer pressure makes the nominated person feel morally obligated to accept (commit) and follow through. Take a step back and look at your campaign to see if there are opportunities to ask people to make a public commitment. For example, if you’re hosting a free event and are afraid people will sign up but not show up, add an extra step after registration asking them to share their activity on their social networks. Their public commitment increases the likelihood that they’ll show up. Each of us has a set of characteristics we use to describe who we are as individuals. Collectively these characteristics are called your personal identity. Identity is all about perception—how you perceive yourself and how others perceive you. Most people hold these characteristics as part of their identity: kind, giving and charitable. The ALS Association challenged people to be consistent with those characteristics as a way to influence their actions. It’s important to understand the motivating characteristics of your audience. The Ice Bucket Challenge was essentially saying, “You see yourself as charitable [an assumption] and if you are in fact charitable, you will do this. Otherwise you’ve shown that you are not charitable.” In situations like this, people choose to participate rather than challenge their identity. Those who identify with the characteristics of creativity, rarity and perfection are drawn to the sofa because they want to reinforce their identity. 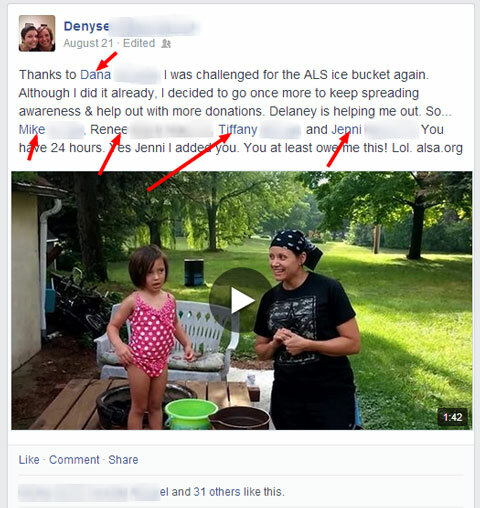 Although anyone could have participated, the ALS Ice Bucket Challenge created two groups: those who were invited to participate and those who were not. This invitation-only tactic builds a level of exclusivity around those who were invited—it’s as if they’re now part of the club. Most people are attracted to something not everyone can have. Image: Shutterstock. 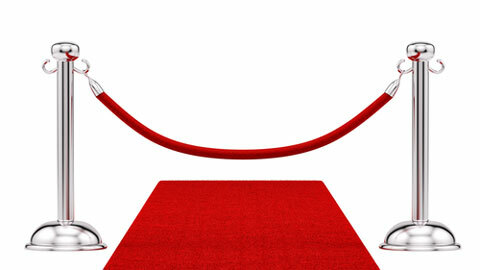 In addition to invitation-only events, marketers commonly create a sense of urgencyand exclusivity by limiting the number of items available and the amount of time they are accessible. The invitation-only tactic is easy to implement, but it’s a long-term commitment because it usually takes a great deal of time and effort to get the ball rolling. Create an invite-only group on the social network you and your audience use most.Start off by inviting a mix of industry experts, and then publicly promote the group. At the same time, show members the group’s value and explain what others need to do to be invited to join. I suggest making the requirements somewhat difficult in order to retain exclusivity and thus the appeal of being included. Another idea is to offer a limited number of items to dramatically boost the urgency to act. People don’t want to feel like they’re going to miss out, so having a limited quantity of something may be the extra push your customers need to take action. Post something on Facebook saying, “The first X people who message [or like, or share] us will get access to Y.” Continue to update that same post with a running tab of how many items are left. Similarly, limiting how long a product or service is available is a powerful way to influence behavior. 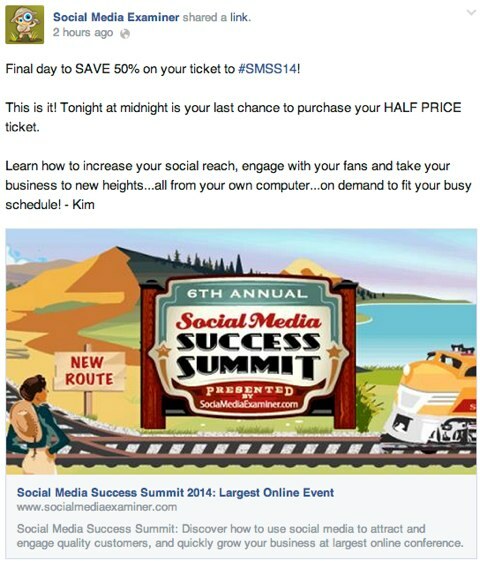 Social Media Success Summit offered a time-sensitive discount to spur action. Let’s say you’re an NFL merchandise e-commerce shop. You develop a promotion that runs for the entire football season where whichever team is ahead, their merchandise is 10% off during the game. Once the game is over, the promotion ends. Twitter would be a good channel for a campaign like this. You could give score and game-time updates as a countdown, adding pressure to make purchases before the game ends. The ALS Association leveraged basic psychological concepts to drive hundreds of thousands of people to take action and spread the word about their cause. Whether you were a participant or a skeptic, there’s no question that the Ice Bucket Challenge was a marketing smash and exceeded the organization’s expectations. Now that you have an understanding of these concepts and how to apply them, it’s your turn. Find creative ways to bake them into your next campaign and you’ll see the influence you have on others.